This is an unissued boxed East German length of service medal. I believe this is for 15 years service. 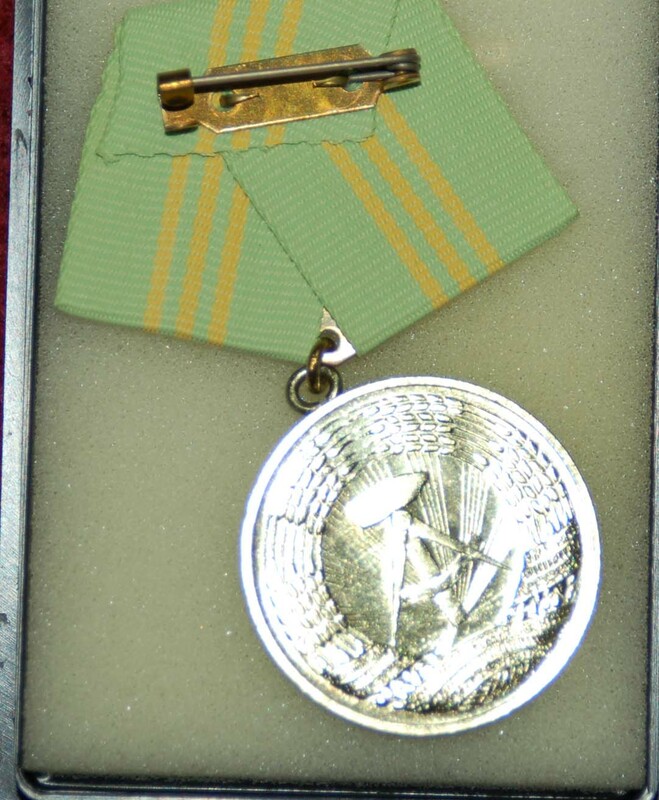 It is contained in a plastic box along with a campaign ribbon that accompanies the medal. The medal has a pin back for fastening. The face of the medal states FUR TREUE DIENSTE which means for loyal or faithful service. The East German coat of arms is on both the front (small) and reverse (large) of the medal. 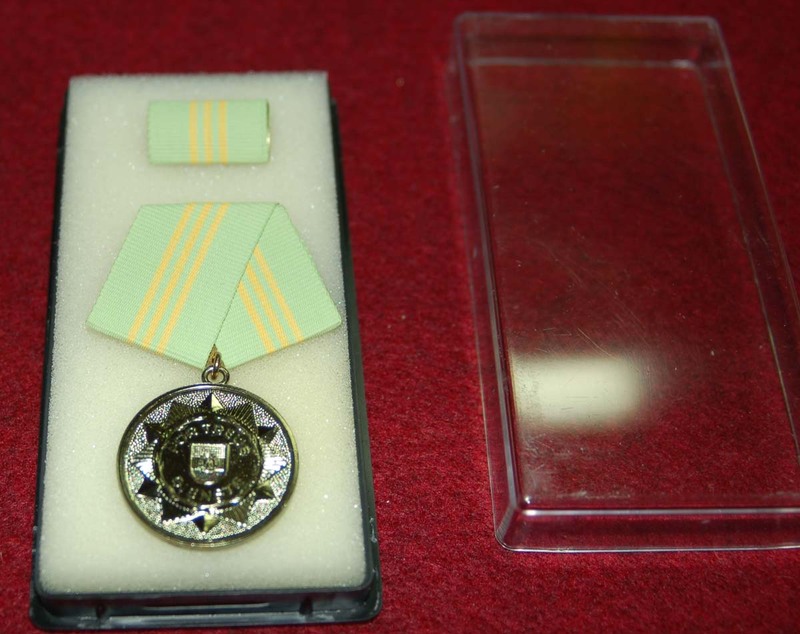 The ribbon is a mint green color with three yellow stripes. The medal is gold in color.